With the rapid development of green energy technologies and renewable energy policies from various governments, solar power applications and solutions are growing fast throughout the world. One such solution is called Concentrated Solar Power (CSP), which is a thermal storage system that can compensate for variations in the supply of solar energy over a single day. As a result, it can continue to generate electricity and supply power even on cloudy or rainy days - even at night. Plus, its implementation cost, product life and energy storage efficiency are superior to other technologies, giving this type of solar generation the potential to be a green energy application that can operate stably and continuously around the clock supplying low-cost electricity. Although CSP has many advantages, its control technologies are complex. A typical solar farm is located in remote locations in extreme weather conditions. They often have thousands of solar devices installed and operators need to know exactly what is happening, therefore network reliability plays a key role in supervising all the on-site facilities. Through EKI series managed switches and WebAccess/NMS network management software, Advantech's hardware and software integrated solution provides redundancy and intelligent management. Operators can monitor network connectivity in real time, remotely control network devices, and view all power generation information to ensure efficient and sustainable operation of the solar thermal power station under any conditions. The Chinese has recently government launched a new solar energy plan, and a Chinese enterprise that specialized in solar thermal power generation technology was building its first molten salt solar thermal power plant in Dunhuang, which is located at the western end of the Hexi Corridor in Gansu Province. This focusing type solar thermal power generator utilizes reflectors to concentrate the sunlight on top of a tall tower and then uses heated molten salt to create steam, which drives a turbine to generate electrical power. The power plant covers an area of more than 100 hectares and the control center must send instructions to the heliostats arranged in a circular configuration around the tower so that by angling the mirrors according to the sun's movement it fully absorbs the maximum amount of solar energy. The solar thermal power technology company not only required a highly stable network solution to transmit the control instructions, but they also demanded network equipment with backup and management functions to ensure uninterrupted command and control. Because the power plant is built in a desert area of Dunhuang, the local weather changes dramatically in different seasons. The summer temperature can be as high as 40°C to 50°C and during the winter, the minimum temperature can fall to -10°C to -20°C. For that reason, hardware devices must be industrial-grade in order to withstand sandstorms and fast climate changes. In addition, as it is quite strenuous and time consuming for people to patrol and inspect all network facilities in such a harsh environment, it can be difficult to identify problems. Therefore, the proposed solution had to provide software to remotely monitor devices so that managers could fully grasp network conditions from the central main control room. Advantech's hardware and software integration solutionwas a combination of a Layer 2 switch—EKI-7656CI, a Layer 3 switch—EKI-9428G, and an intelligent network management system using WebAcces/NMS. Benefiting from this network solution, the digital and analog signals of the molten salt solar thermal power plant can reliably operate at Gigabit speeds and operators in the control room are able to directly control motors and other components without personally visiting the scene. Each switch connects nine heliostat panels and dozens of switches to form a ring topology, a total of 180 EKI-7656CI switches installed at the power station delivers data to the EKI-9428G installed in the control center. The latter manages all aggregated data and controls the traffic so as to ensure network stability. The WebAccess/NMS installed in the background system allows mangers to remotely monitor and control network equipment. EKI-7656CI is a managed industrial Ethernet switch that not only supports a wide operating temperature range (-40°C~75°C), but also uses a metal enclosure that meets the IP30 protection standard and comes with a rugged DIN-rail mounting, enabling it to withstand extreme temperature changes and severe environmental challenges in the Dunhuang desert. Furthermore, it offers a variety of diagnostic, controls, redundancy, and other intelligent management functions to enhance the stability of communication and improve network management efficiency. For example, users can conveniently establish a redundant Ethernet network with ultra high-speed recovery times of less than 20 ms by using Advantech’s self-developed X-Ring Pro. SNMP (Simple Networking Management Protocol) allows network management software to easily obtain network traffic and system information and settings, even whilst resetting or turning on/off switches. Link Layer Discovery Protocol (LLDP) provides switch information and inter connection status for network management software to query and analyze. Like the EKI-7656CI, EKI-9428G is also a managed industrial Ethernet switch. In addition to offering a variety of intelligent management functions, it is also a Layer 3 switch with partial router functions, so it can divide a large-scale area network into multiple small area networks to optimize network performance. For example, when a network broadcast storm occurs, the system can significantly reduce the damage by isolating the small area network. Featuring a solid industrial design and IEC61850-3/IEEE 1613 certification for substation applications, EKI-9428G is able to provide high-speed, reliable and stable network communication, no matter what kind of scenario. Advantech’s WebAcces/NMS software gives full play to the EKI hardware with its remote management network equipment functions. The browser-based software allows users to view current network status on a computer via a user-friendly topology or logic diagram, and directly change the settings of the switch. Its active alarm function is used to prevent small problems from growing into bigger ones that may become uncontrollable. Taking this project as a sample, the system is set to confirm the connection status every five minutes and the EKI switches would automatically send a message to inform the management system. If a problem occurs in any network equipment, users could immediately find out from the computer screen in the control room while identifying the problem as soon as possible to accelerate troubleshooting. 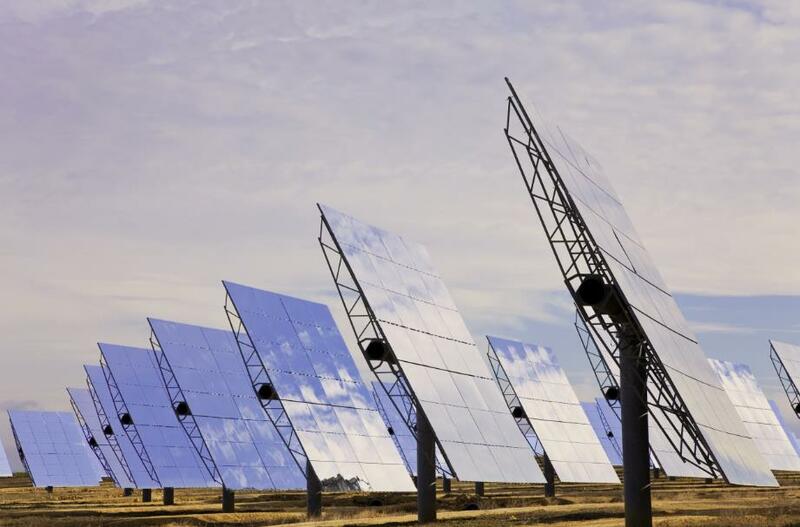 Whether ​​in a solar power station in the desert area of Dunhuang or other harsh environment applications, Advantech's one-stop shopping hardware and software integrated network solution helped save time and effort in building a stable network the power station to meet it power generation obligations.